Zano is known for having played Vince in The WB's sitcom What I Like About You. He hosted MTV's former infotainment program about the film industry, Movie House, and briefly worked as an MTV News correspondent before he began an acting career. His recurring roles on television include Drew Pragin on Melrose Place, Josh on Cougar Town, Pete on Happy Endings, P.J. Hillingsbrook on 90210, and Johnny on 2 Broke Girls. He also starred as a lead on the NBC sitcom One Big Happy and as Arthur in the TV series Minority Report. He stars as Dr. Nathaniel "Nate" Heywood / Steel on The CW series Legends of Tomorrow. Zano was born in Nutley, New Jersey. He lived in Florida as a child. While attending Wellington High School he was active in the drama and television departments. Throughout his junior and senior years, he and his classmates produced a weekly off-beat skit comedy show that aired on the school's television station. While working on the show, Zano also wrote, starred in and directed student films that made their way to the JVC Universal Film Competition, a festival in which over 800 local high schools participate. Shortly after graduating from high school, Zano moved to Hanover, Pennsylvania, and landed a job developing films and television projects for a small production company. During that time, he also was the associate producer for Living Position, a World AIDS Day television special hosted by Lou Diamond Phillips. While selling shoes in a trendy Los Angeles boutique, a customer went back to her office and told her supervisors she'd just met a man who would be a wonderful on-air personality. The woman was an employee at MTV, which led to Zano's hosting job of MTV's Movie House. In 2003, he landed the role of Vince in The WB's sitcom What I Like About You, starring Amanda Bynes and Jennie Garth. Zano made his first appearance in the second season and remained until the fourth and final season, which ended April 24, 2006. Afterwards, he went on to host and executive produce his MTV reality show Why Can't I Be You?. The following year, Zano appeared alongside Haylie Duff and Frankie Muniz in the independent romantic comedy My Sexiest Year. The film, which received mixed reviews, had its world premiere at the 2007 Hamptons International Film Festival. In 2008 he appeared in a supporting role opposite Drake Bell in MGM's teen comedy film College. Zano also appeared in Beverly Hills Chihuahua and Joy Ride 2: Dead Ahead later that year. In 2009, Zano co-starred in The Final Destination, the fourth installment of the Final Destination film series. He also guest starred on the ABC sitcom Cougar Town, starring Courteney Cox. In 2010, he had a recurring role on The CW's Melrose Place. In 2011 he started a recurring role on 2 Broke Girls as Johnny, a graffiti artist who regularly flirts with Max (Kat Dennings). In 2011 he also co-starred in the romantic comedy Scents and Sensibility as Brandon. In 2012, Zano scored a recurring role on another CW show, 90210, in which he played a billionaire who goes into business with Annie (Shenae Grimes). In November 27, 2011, Zano starred as David Morretti in the ABC family Christmas themed movie Desperately Seeking Santa opposite Laura Vandervoort. Beginning in December 2012, Zano began a recurring role in season three of the ABC sitcom Happy Endings as Pete, Penny's new love interest. In 2013, Zano appeared on Mom as Anna Faris' (main character's) boyfriend for two episodes. In February 2014, Zano signed on to play the male lead in Liz Feldman and Ellen DeGeneres' NBC comedy pilot One Big Happy. The show centers on Lizzy (played by Elisha Cuthbert), a lesbian who gets pregnant just as her straight male best friend Luke (the father of the child), played by Zano, meets and marries the love of his life, Prudence. The show was ordered to series on May 9, 2014, and will debut mid-season in early 2015. In 2015, Zano starred as Arthur, described as having a hard shell, borne of years of difficult experience in the outside world that Dash avoided, in the Fox show Minority Report, based on the 2002 Steven Spielberg film of the same name. In 2016, Zano was cast as Dr. Nate Heywood/Citizen Steel, a historian whose grandfather was the hero known as Commander Steel, a member of the Justice Society of America on The CW show Legends of Tomorrow. Zano is in a relationship with actress Leah Renee Cudmore. In July 2016, she gave birth to their son. Their second child, a daughter, was born in 2018. 2005 One Tree Hill Himself Episode: "Somewhere a Clock Is Ticking"
2011 Drop Dead Diva Tim Klein Episode: "Hit and Run"
2014 Friends with Better Lives Handy Randy Episode: "Pros and Cons"
^ "Nick Zano boards 'Legends of Tomorrow' as series regular". ^ Thompson, Kevin D. "THE SHORT, METEORIC RISE OF NICK ZANO", The Palm Beach Post, February 22, 2004. 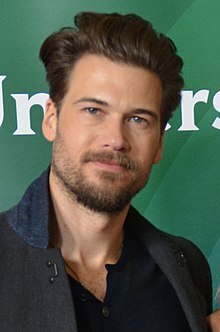 ^ "Nick Zano Biography - Rotten Tomatoes". www.rottentomatoes.com. Retrieved 2016-08-26. 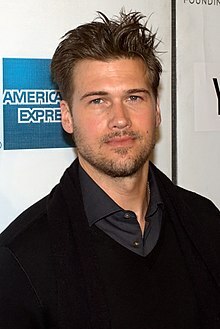 ^ "Nick Zano biography and filmography | Nick Zano movies". Tribute.ca. Retrieved 2016-08-26. ^ "Nick Zano". TVGuide.com. Retrieved 2016-08-26. ^ "What I Like About You". TVGuide.com. Retrieved 2016-08-26. ^ TV.com. "Nick Zano". TV.com. Retrieved 2016-08-26. ^ "My Sexiest Year: Haylie Duff, Amber Valletta, Dan Levy, Nick Zano, Rachel Specter, Ali Costello, Major Mike Russell, Harvey Keitel, Ryan Cabrera, Daphna Kastner, Frankie Muniz, Karolina Kurkova, Noah Matthews, Christopher McDonald, Howard Himelstein: Amazon.co.uk: LOVEFiLM By Post". www.amazon.co.uk. Retrieved 2016-08-26. ^ "College (2008) Cast and Crew - Cast Photos and Info - Fandango". Fandango. Retrieved 2016-08-26. ^ "Joy Ride 2: Dead Ahead - ComingSoon.net". 2008-10-06. Retrieved 2016-08-26. ^ Mintzer, Jordan (2009-08-26). "Review: 'The Final Destination'". Retrieved 2016-08-26. ^ "'Cougar Town' News: Lisa Kudrow Visits While Nick Zano May Move Out To 'Melrose Place'". Retrieved 2016-08-26. ^ "Exclusive: 'Cougar Town' hottie Nick Zano relocating to 'Melrose Place'?". Retrieved 2016-08-26. ^ "'Cougar Town' hunk Nick Zano to recur on '2 Broke Girls'". Retrieved 2016-08-26. ^ "Scents and Sensibility | Dove Family Friendly Movie Reviews". Retrieved 2016-08-26. ^ Richenthal, Matt (2012-02-23). "90210 First Look: Welcome, Nick Zano!". TV Fanatic. Retrieved 2016-08-26. ^ "Breaking News - ABC Family to Premiere Original Movie "Desperately Seeking Santa," Sunday, November 27 | TheFutonCritic.com". www.thefutoncritic.com. Retrieved 2016-08-26. ^ Dave Nemetz (2012-12-01). "'Happy Endings' exclusive first look: Nick Zano tells us about playing Penny's new love interest". Tv.yahoo.com. Retrieved 2016-08-01. ^ Lesley Goldberg (2014-02-10). "Nick Zano to Co-Star in NBC's Lesbian Comedy". Hollywood Reporter. Retrieved 2016-08-01. ^ Prudom, Laura (2015-06-30). "Nick Zano Joins Fox's 'Minority Report'". Retrieved 2016-08-26. ^ "Nick Zano boards 'Legends of Tomorrow' as series regular". Retrieved 2016-08-26. ^ "EXCLUSIVE: Nick Zano and Girlfriend Leah Renee Expecting First Baby!". Etonline.com. 2016-06-10. Retrieved 2016-08-01. ^ "Nick Zano and Leah Renee Welcome a Baby Boy". Etonline.com. Retrieved 2016-08-01. ^ "'Legends of Tomorrow' Star Nick Zano Shares Heartfelt Reason Why He Isn't in "Wet Hot American Bummer"". Comicbook.com. November 12, 2018. Retrieved November 30, 2018.